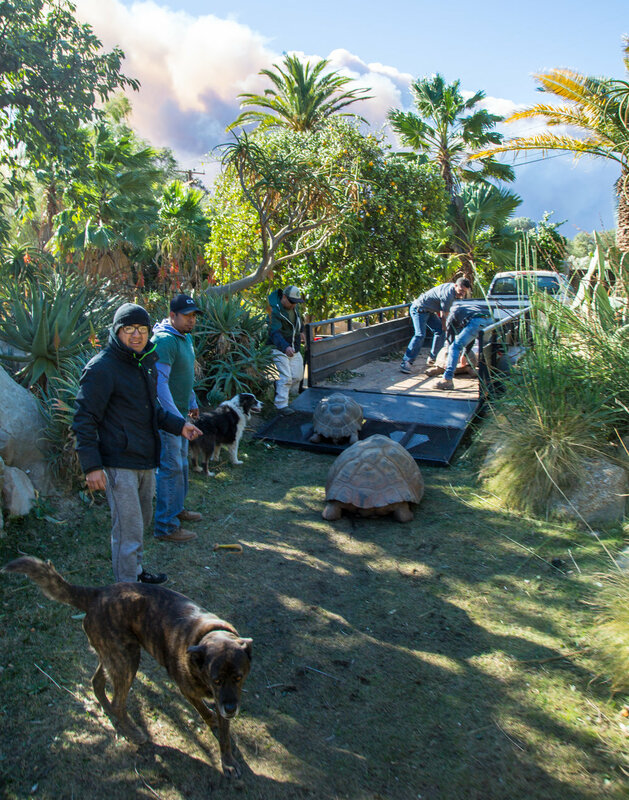 This Holiday Season, the Turtle Conservancy suffered through the largest wildfire in California history. 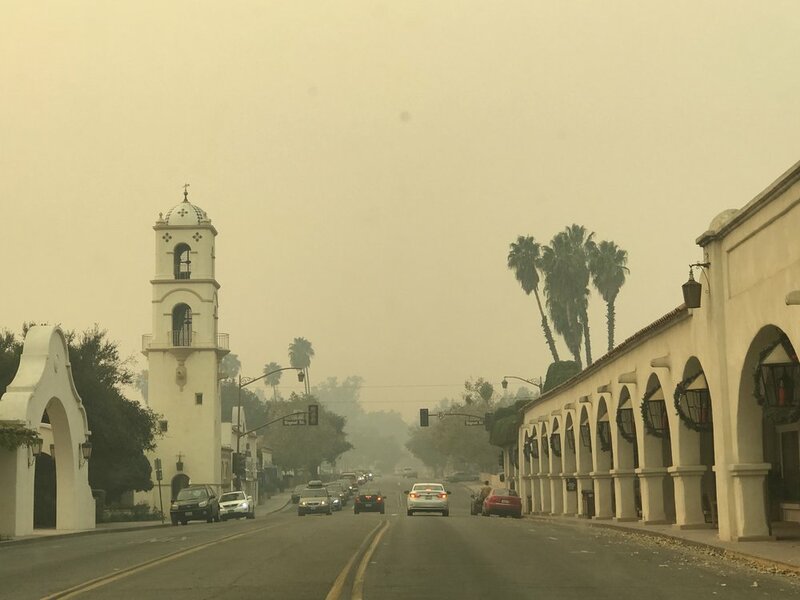 The Thomas Fire, one of the most destructive ever recorded, occurred during a time of year when fires are typically rare. 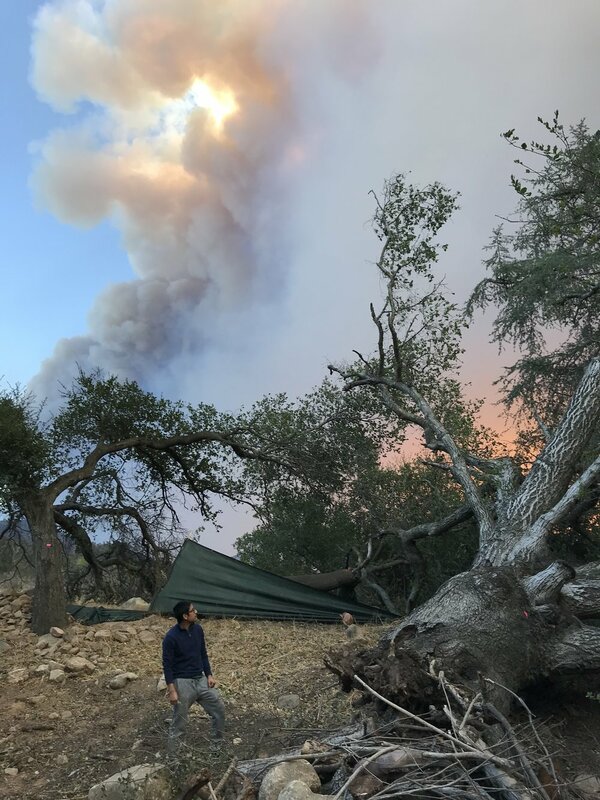 The Turtle Conservancy team had just practiced our annual fire drill about a week before the fire started, so when we were alerted that Santa Ana winds had rocketed the flames more than 15 miles in just a few hours, our team jumped into action. Like the proverbial well-oiled machine, we had the animals packed up and ready to go by the time we received mandatory evacuation orders. 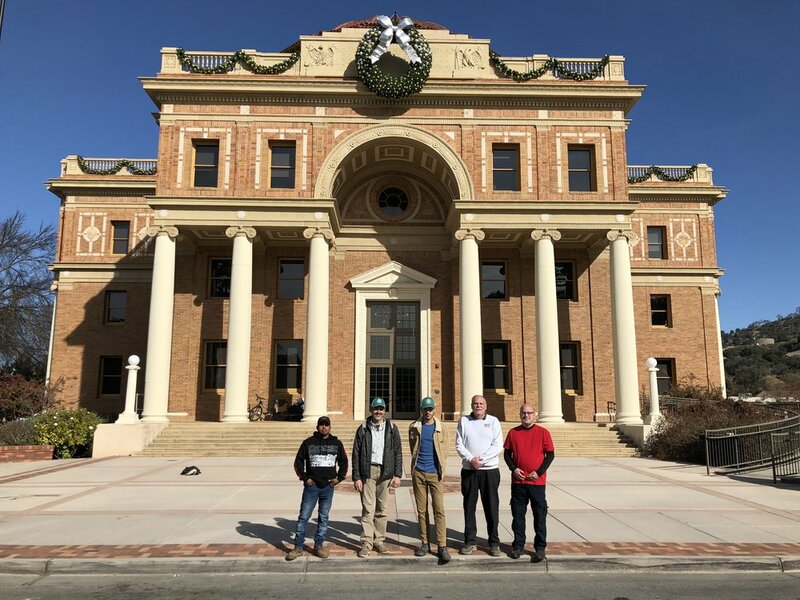 It was extremely reassuring to have the Charles Paddock Zoo find a place for us to stay at historic City Hall in Atascadero for 5 days. We thank ZooMed Labs for providing some of the specialty equipment we needed during the evacuation. 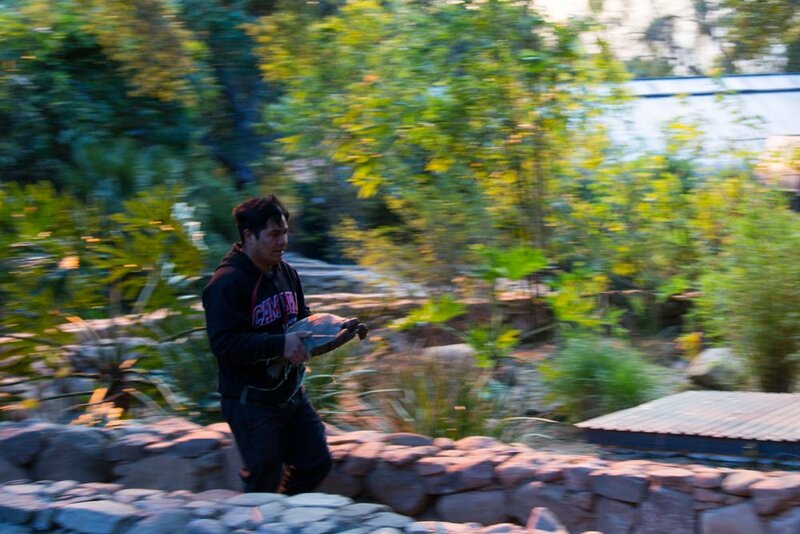 While the turtles and tortoises waited patiently in safe, quiet conditions, our dedicated team, under the steadfast leadership of co-founder and president, Eric Goode, fought back the flames that at times reached within 20 feet of our property boundary. Many homes were lost and more than a quarter-million acres burned in the first few days. We felt a deep gratitude for the firefighters, and profound relief that we could return the animals to a home that had been spared. Our recovery work is now just beginning. Insurance will cover some costs, but we learned that it is our responsibility to prevent wildfires from taking lives and property. Not only must we purchase tens of thousands of dollars of air filters, facemasks, safety clothing, and other equipment, we know exactly how to prepare our facilities and people to effectively fight fires in the future. We have assessed what happened, and now it is time to prepare ourselves for a future where such fires are predicted to become increasingly more severe. As you count your blessings over the coming week, know that we feel tremendous gratitude that you have helped us protect some of the world's most endangered species from extinction, and this year also from the immediate threat of an unprecedented wildfire. 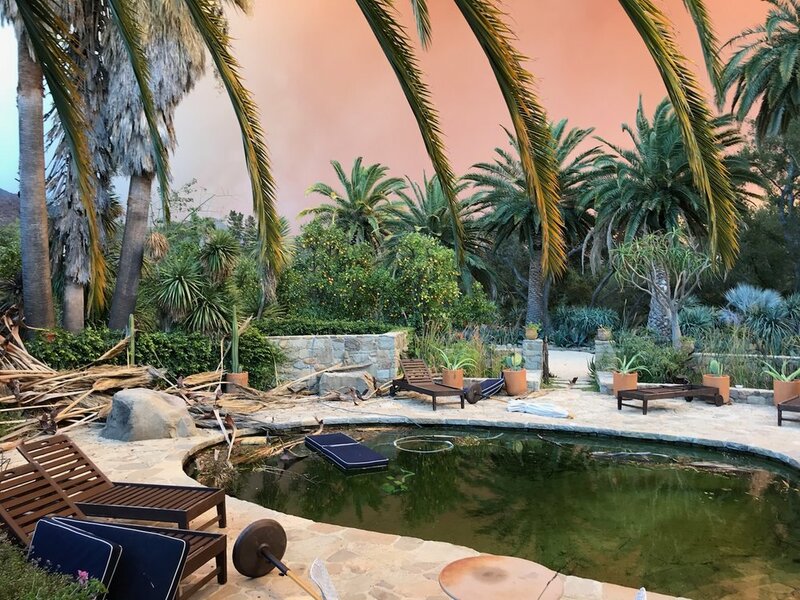 In the aftermath of the Thomas Fire, your financial support, no matter how large, will have a tremendous impact right now! Please be generous in your support of the Turtle Conservancy this Holiday Season.